A teenage girl student was killed after a train hit her on the railway track between Peelamedu-Irugur in the city today. According to police, 18-year-old Priya, a B.Com first year student of a private college in Singanallur, was walking on the railway track when a train coming from behind hit her, scattering the body all over. Some passers-by informed the Railway Police, who rushed to the spot and sent the body parts for postmortem to the government hospital. Police suspect that Priya had been distracted while talking on the cellphone. Coimbatore : A teenage girl student was killed after a train hit her on the railway track between Peelamedu-Irugur in the city today. 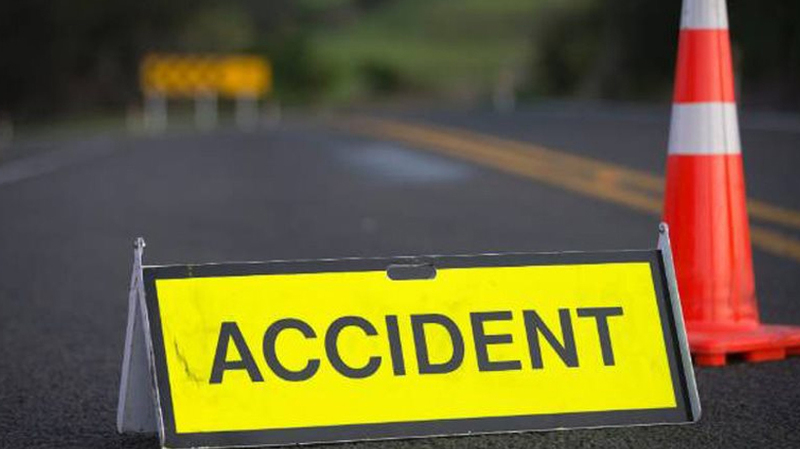 One person was killed and five others were injured when the car in which they were travelling dashed against a parapet wall on National Highway at Avanashi in nearby Tirupur district in the early hours of Thursday. According to police, a four-member police team from Ernakulam Info Park in Kerala was proceeding to Hyderabad in connection with a missing girl case along with two relatives of the girl. 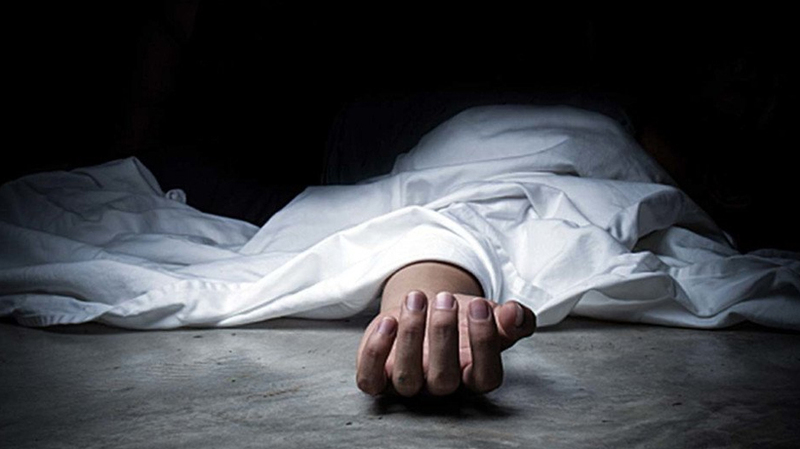 The car hit the parapet of a flyover at Alampalayam near Avanashi around 6.30 a.m., resulting in the spot death of Harinarayanan, the girl’s relative and injuring five others, they said. The injured were taken to a private hospital where the condition of another relative is said to be serious. Coimbatore : One person was killed and five others were injured when the car in which they were travelling dashed against a parapet wall on National Highway at Avanashi in nearby Tirupur district in the early hours of Thursday. Velodyne Lidar, Inc. today announced an agreement with Nikon Corporation, under which Sendai Nikon Corporation, a Nikon subsidiary, will manufacture lidar sensors for Velodyne with plans to start mass production in the second half of 2019. The partnership cements Velodyne’s manufacturing plan and expands its lead in the global lidar sensor market. 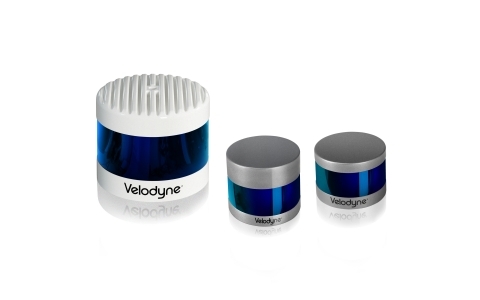 Velodyne is the leading supplier of lidar sensors to the automotive industry with more than 250 customers globally. Beyond AVs and ADAS, Velodyne will leverage Nikon’s mass manufacturing prowess as lidar sales expand within other emerging markets. Accelerated by its partnership with Nikon, Velodyne’s low cost lidar solutions will benefit a range of business segments, including robotics, security, mapping, agriculture, and unmanned aerial vehicles (UAVs). “Working with Nikon, an expert in precision manufacturing, is a major step toward lowering the cost of our lidar products. Nikon is notable for expertly mass-producing cameras while retaining high standards of performance and uncompromising quality. Together, Velodyne and Nikon will apply the same attention to detail and quality to the mass production of lidar. Lidar sensors will retain the highest standards while at the same time achieving a price that will be more affordable for customers around the world,” said Hall. Nikon invested USD 25 million in Velodyne last year and now aims to combine Nikon’s optical and precision technologies with Velodyne’s lidar sensor technology. Since the investment, both companies have been investigating a business alliance that includes collaboration in technology development and manufacturing. This manufacturing agreement represents the initial phase of the Velodyne/Nikon business alliance. The companies will continue to investigate further areas of a wide-ranging and multifaceted business alliance. Author adminPosted on April 25, 2019 Categories News FeedTags . Hiver, a leading provider of email collaboration solution for teams, participated in Google Cloud Next’19. 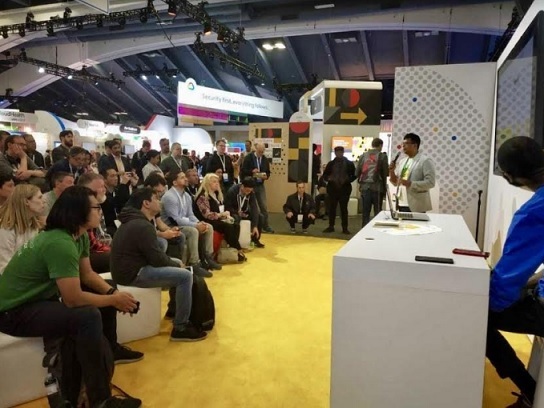 The conference that took place earlier in April at Moscone Center in San Francisco, is a meeting ground for a diverse audience of customers, partners, influencers, developers, and anyone who is passionate about the cloud. More than 25000 technology and business professionals from around the world attended the conference to share big ideas that can make the cloud stronger and also gather information about Google and its strategic partners’ latest developments. Attendees who visited Hiver’s exhibit at the conference got first-hand insights about the product. At the booth, Hiver demonstrated their innovative email collaboration solution for businesses and how the platform helps teams collaborate on shared inbox emails right from their Gmail inboxes. Hiver’s Founder and CEO Niraj Ranjan delivered a talk on ‘How to get the most out of Google Groups’. He addressed the audience on how organizations can manage their Google Groups and shared inboxes efficiently. During the interactive session, he presented the stories of companies that have been able to move past the challenges they were facing with email collaboration and how they solved them using shared inbox tools like Hiver. He further emphasised how a shared inbox tool built on top of Gmail helps increase productivity. Participation in Google Cloud Next’19 has helped strengthen Hiver’s footprint in the international market as a well-established Google partner. Hiver is headquartered in Bengaluru, India and currently has over 1,300 customers in more than 30 countries across the world. Hiver is a leading provider of email collaboration solutions. Hiver enables teams to easily manage shared email accounts like [email protected] or @sales, right from within Gmail. Based out of Bengaluru and San Jose, Hiver has over 1,300 customers across 30 countries, including Hubspot, Harvard University, Vacasa and Shutterstock. Author adminPosted on April 25, 2019 Categories UncategorizedTags . What takes to be extraordinarily good in what you do and most importantly how to identify that you have it in you? Simple, test yourself, compete with the bests. Here is one such platform for the kids who think they are extraordinary and are willing to prove it to everyone. AglaSem launches one of its kind online examination platform where students from classes 4 to 10 can compete with each other to put their knowledge to test and know their true potential. This, in turn, will prepare them for the future, analyse their areas of strength. ATSE will be India's first True Online Examination. With ATSE 2019 the students and their parents will be ready for the future of examination. ATSE might also be a first step towards changing the future of exam patterns in India. Registrations for ATSE are now open. AglaSem is a pioneer in providing one-stop online guidance to millions of daily active audience. Now AglaSem aims at reaching the millions with a different approach. With a one of its kind talent search exam that can be taken from the comfort of homes without visiting any test centers, AglaSem aims at spotting the talents and provide them with financial aids for their studies. At the initial stages, AglaSem aims at providing the toppers of ATSE 2019 with prizes worth Rs. 10 lakhs that includes cash prizes, certificates and medals. The USP of this platform is that the entire process is online and can be completed form the comfort of your homes. Registration is all you need to do and start preparing as per the syllabus of the exam that is available at atse.aglasem.com. Candidates on the exam day, will just have to appear in the exam without visiting any center and directly from their respective homes. The candidates studying in 4, 5, 6, 7, 8, 9 and 10 are eligible to participate in the exam by registering online at atse.aglasem.com. AglaSem came up with this unique platform so that the candidates apart from bringing out the best in themselves, can also gain confidence for competing with the best around them and in the country. This will also add to their all-round personality development. Also, there are probable chances that the candidates might have to be prepared for the upcoming changes in the exam pattern, and this could be it. ATSE 2019 will be conducted in a total online mode. There will be questions from Mathematics, Science, Social Science, Aptitude and English. Each section will have 20 questions. The total marks of the exam will be 400 and there will be 100 MCQ type questions. Each correct answer will give the candidates 4 marks and each wrong answer will take away 1 marks. The duration of the exam is 1 hour. The questions on the screen will be displayed in both Hindi and English language. The syllabus is available on the website of ATSE 2019, atse.aglasem.com. There will be cash prizes, medals and certificates for all the rank holders from each class. Cash prizes will be given to Rank 1 to 50 in all the classes. The candidates having ranks above 50 get participation certificates. What makes ATSE different from other CBTs? Unlike other national level talent search examinations, ATSE provides a unique mode to take the examination and with minimal enrollment fee, the candidates are encouraged with good financial aids and recognition at their very early stages of education. Moreover, it is a true online exam and not like other Computer Based Tests (CBTs). What is the difference between the online exam and CBT, here is the deal. ATSE will not be another Computer Based Test. A computer based exam (without internet) is a software application which allows conducting of the exam in a closed environment. You are not able to access any external pages or resources except the Test. It’s more like an offline test on a computer. However, ATSE will be an online exam that means, a Computer Based Test where you are connected to internet while giving the exam. But this doesn’t mean that the candidates will be able to cheat. ATSE’s technology will be restricting the candidates from cheating even if they will be connected to the internet the whole time in the test. AglaSem have been there as guide and a friend to all its users starting from school level to the higher education level. Also, AglaSem thrives daily to provide latest and authentic updates to the job seekers and candidates looking for career prospects in various fields. With more than thousand updates on education daily, AglaSem is working to provide all best resources to its users free of cost. ATSE is one new approach towards reaching out to our users and join them in a more personal and closer level. ATSE 2019 will also help us to know the expectations, potentials and needs of our users more intensely and in the upcoming days AglaSem will take this approach a notch up. As part of its Rashtra Dharma, Falcon Pumps on Thursday got its new products launched by the family members of four martyrs of Indian army hailing from Tamil Nadu here. The Rajkot-based company offered Rs.25,000 each to the families and started a new initiative to offer jobs to sons and daughters of martyrs’ families, the company founder and executive director, Kamalnayan Sojitra said at the launch. For Falcon truest Rashtra Dharma means to offer financial support and opportunities to young sons and daughters irrespective of their caste or religious identities for employment, educational assistance, security, health facilities, he said. Family members of Shivashankaran, Subramanian, Perumal and Balamurugan, who laid their lives for the nation, launched the products at a small function here. For Falcon the love for the nation means production of high quality, energy saving, submersible pumps using 304 grade stainless steel technology and the best hydraulic designs along with efficient and prompt services, he said. 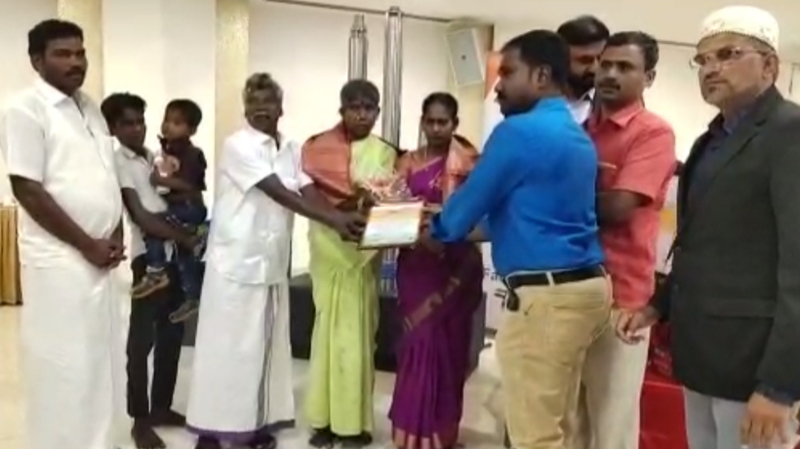 Coimbatore : As part of its Rashtra Dharma, Falcon Pumps on Thursday got its new products launched by the family members of four martyrs of Indian army hailing from Tamil Nadu here. The innovation hub The smarter E Europe, encompassing the exhibitions Intersolar Europe, ees Europe, Power2Drive Europe and EM-Power, was launched in 2018 and has seen impressive growth ever since. It will be held for the second time from May 15–17, 2019 at Messe München and will now cover 10 exhibition halls, making it Europe’s largest energy industry event. This growth is due in large part to the upward trend in renewable energies. Since 2010, the proportion of energy generated worldwide from renewable sources has risen from 20 to 25 percent. By 2030, we’re looking at a jump to around 60 percent. In Germany, an average of 45 percent of all electricity generated already came from renewables in the first quarter of 2019. This dynamism is stimulating innovation and shaping the modern energy industry. The buzzword of the hour is sector coupling – a unification of the previously independent electricity, heating and transportation sectors. For instance, a photovoltaic (PV) installation in Europe measuring 17 square meters can now generate enough electricity to drive an electric car 18,000 kilometers per year. This is a simple example, but it clearly shows the potential at hand. In this dynamic setting, The smarter E Europe addresses current industry topics from renewable energies to decentralization and digitalization to power-to-X – converting electricity into synthetic energy carriers such as gas. These have become driving forces on the road to a new energy world, alongside the direct use of renewable power and temporary storage of this power in batteries. It is for this reason that The smarter E Europe has decided to join together with Eurogas and Hydrogen Europe starting this year to work with them toward the mutual goal of establishing a decarbonized Europe. The event organizers are expecting around 1,300 exhibitors and over 50,000 visitors from 160 countries in 2019, all of whom will have the opportunity to visit all four exhibitions with a single ticket. Several conferences with speakers from around the world will be running alongside this offering at the ICM Munich from May 14–15, including the Smart Renewable Systems Conference. Experts will be discussing the opportunities and challenges presented by the energy market of tomorrow. Karunya Institute of Technology and Sciences (Deemed to be University) will conduct entrance examination for its B.Tech., B.Sc. Agriculture and B.Sc. Horticulture programmes across India on April 27. The examination will be held at 46 centres such as New Delhi, Mumbai, Ranchi, Lucknow, Pune, Kolkata, Bangalore, Vijayawada, Kochi, Guwahati, Hyderabad, Anantapur, Kottayam and Ranchi, besides Coimbatore, Chennai, Madurai, Tiruchi, Nagercoil, Tuticorin, Tirunelveli and Dindigul in Tamil Nadu between 10.00 and 12.30 p.m.
Those who have not applied for the exam can register their names in the nearby examination centre tomorrow by 11.00 a.m, a university release said Thursday here. Appearance in KEE – 2019 is mandatory for admission to B.Tech., B.Sc. Agriculture and B.Sc. Horticulture programmes. The onsite admission counselling will be held in the University campus at Coimbatore during May 1- May10 to admit the candidates on merit basis as per the norms. The entrance examination results will be published on April 30 and merit scholarships to the tune of Rs.5 crores shall be awarded to the students which is renewable every year. 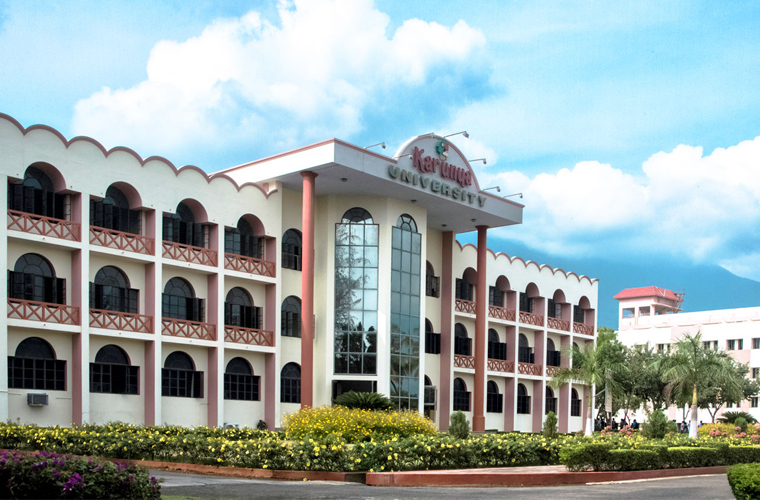 Coimbatore : Karunya Institute of Technology and Sciences (Deemed to be University) will conduct entrance examination for its B.Tech., B.Sc. Agriculture and B.Sc. Horticulture programmes across India on April 27. 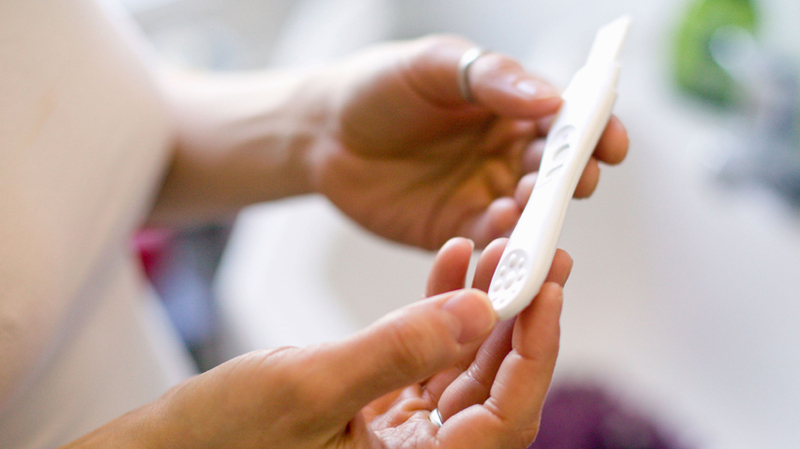 Complications from Sexually Transmitted Infections (STI) can lead to infertility or an ectopic pregnancy (an embryo that grows outside the womb), a senior fertility consultant said Thursday.. In fact, if a woman with STI is pregnant, this can also infect her baby, Fertility consultant of NOVA Fertility, Dr Meenakshi said in an interactive session with media persons here. STI can cause pelvic inflammatory disease (PID) in women (an infection of the uterus and fallopian tubes) and epididymitis in men (inflammation of the coiled tube beside the testes), she said..
Dr Meenakshi discussed various sexually transmitted disease like Chlamydia and Gonorrjhea, two main pelvic infections and said this will lead to infertility both in men and women. Coimbatore : Complications from Sexually Transmitted Infections (STI) can lead to infertility or an ectopic pregnancy (an embryo that grows outside the womb), a senior fertility consultant said Thursday..
BMU app not only guides students to apply for medical universities abroad but also helps students to check their preparation by giving Free NEET mock tests which are available on the app which are designed by highly qualified professionals in the field. The tests are updated weekly to help students brush up on their NEET preparation skills. Now students have the list of all MCI approved & WHO listed medical universities abroad at one place. BMU app provides information about more than 100 universities making it easier for the student to choose the best university. Many Consultancies/Colleges claim to provide the best education and facilities for students and some even claim themselves no. 1 university and even disguised establishment year, But with BMU app, it has become easier for students to check and verify facts and compare different universities based on tuition fee, MCI passing ratio, city population, safety index, living expense and many more. This feature of the app enables the student to view all the costs incurred during the course and segregates tuition fee, hostel and food/mess charges year wise, giving a complete overview of the overall expense. In the era of texting, we have given a unique option to the students in BMU app and that is, BMU chat, these feature allows students to send their quick queries to their assigned BMU counselor and keep themselves updated in real time. Booking seat in MBBS abroad could never be any easier. Our BMU app tag line is “Prepare, Compare, Search & Book” and we have made each and every word realistic. In just a few clicks, students can now book their MBBS abroad seat in their selected university on the BMU app through the payment option and not only keep a record but also to track their admission process as and when it gets moving.